The exploding Japanese torpedo sheared off 15 feet of the destroyer USS Benham’s bow during a night engagement off Guadalcanal on Nov. 14, 1942. Machinest-mate 3rd Class Henry Horst was two decks down in the magazine of the ship’s number one, five-inch main gun when disaster struck. Despite the confusion and the clutter of unexploded five-inch, 30-pound shells all over the magazine’s deck, none of the sailors working with Horst was seriously injured. They escaped up ladders that took them to the mess hall two decks above. 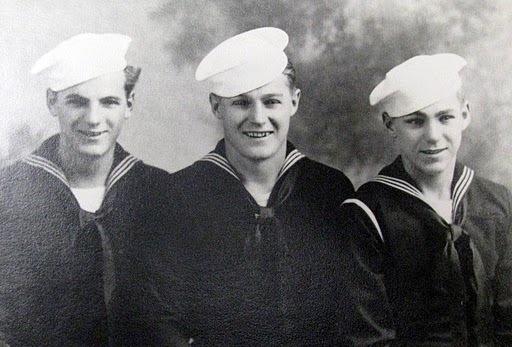 When the captain gave the ‘Abandon Ship’ order, Horst and his buddies who had been working in the forward magazine went over the side with their kapok life jackets on. 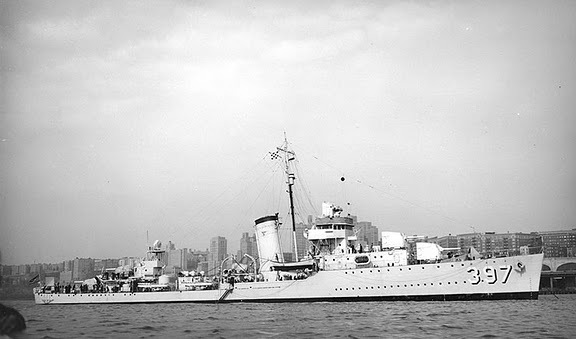 Thirty minutes later the USS Gwin rescued the crew of the Benham. The enemy fleet was sent to Guadalcanal to provide more fire power for their land forces on the island. The Japanese battleship Kirishima, Adm. Kodo’s flagship, led the way. It was accompanied by four cruisers, 12 destroyers and four transports. Adm. Willis Lee, aboard the Battleship Washington, commanded Task Force 64 that included the Battleship South Dakota and four destroyers. By morning the Kirishima was out of the fight. Her steering gear was damaged and the battleship’s topside was in flames. She was abandoned and sunk by the Japanese. Two American destroyers: Walke and Preston sank after they were abandoned. The Benham was so badly damaged she was sent to bottom by the destroyer Gwin. With Horst aboard the Helena returned to the combat zone in March 1943. During the invasion of New Georgia and Rendova islands the Helena was hit by three torpedoes from Japanese destroyers during the Battle of Kula Gulf on July 6, 1943. She sank and with her went 170 of her crew. Horst was one of the lucky ones, he survived the sinking. He was sent back to the states until ordered abroad another destroyer, the USS Owens, headed for the war zone in the Pacific. They saw action in the Marshall Islands and the Invasion of the Philippines. Horst ended the war serving aboard an LSV that carried a gaggle of DUWKS–amphibious landing craft. He hauled troops around the Philippines and Hawaii. He ended his six year tour in 1947 in San Diego, the day before his 24th birthday. Horst went to work with National Cash Register Co. and got married. He and his wife, Madelyn, had four children: Charlene, Debbie, John and Jerry (deceased). He and his second wife, Emmy, moved to the Fort Myers area in 1973. Born in Chicago October 1923 our father left this life to be with our Lord in heaven. He leaves behind treasured memories for his children. Linda Farrar (Mike), Charlene Gilley (Bob), Deborah Benson, John Horst (Cindy), one brother Chris Horst (Irene). Thru marraige, daughters, Cheryl Dichard, Donna Jenkins, son, David Dunham. Henry has 5 grandchildren and 8 great grandchildren. He was preceeded in death by, first wife Madelyn, son Jerry,second wife Emma. 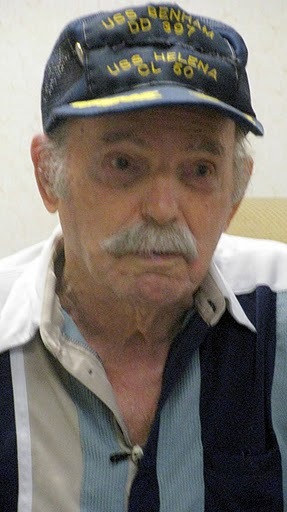 He served in the U.S. Navy from 1941-1947. Serving on 5 ships and earning 12 battlestars for combat. Beloved and a true gentleman to his passing. Currently: Douglas T. Jacobson State Nursing Home, Port Charlotte, Fla. This story was first printed in the Charlotte Sun newspaper, Port Charlotte, Fla. on Mon., August 29, 2011 and is republished with permission. Click here to view Horst’s collection in the Library of Congress.